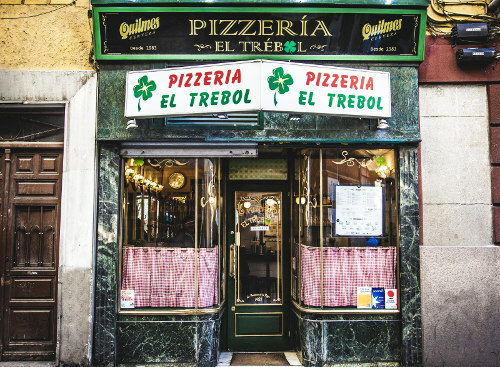 A gastronomic reference in downtown Madrid. Here began our story… in 1983. 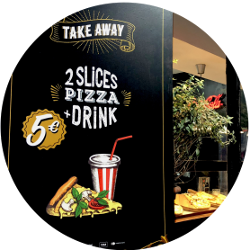 Our busy delivery & take away store for pizza lovers. Pizza in a hurry. 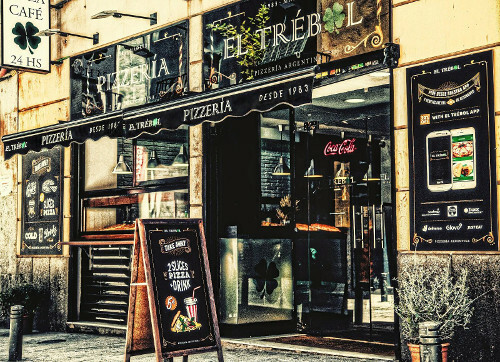 Pizzería El Trébol was inaugurated in 1983, in a small premises of “Calle de la Cruz”, number 3. In a very short time, it became a meeting point for personalities of Arts, Literature and Sports, attracted by its cozy bohemian atmosphere and the temptation to taste the classic recipe of ‘La Casa’. Even today, its aroma takes us to our beautiful city of Buenos Aires, where we savored the traditional pizza ‘media masa al molde’ in our childhood. 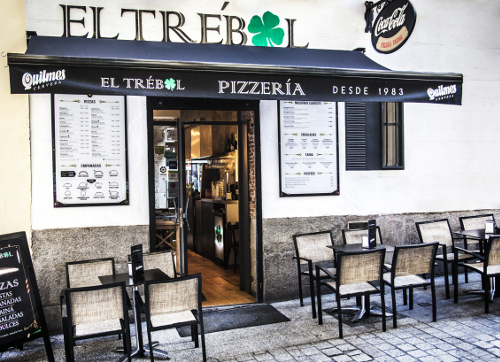 You will find our three pizzerias in “Barrio de Las Letras”, in the very heart of Madrid. Within walking distance, they share a unique and overflowing space of History. 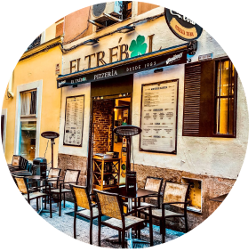 Each restaurant has its own personality: the Cruz Street restaurant is a classic meeting point of Argentine gastronomy in Madrid; the one in Barcelona Street, with a kitchen in sight, is very popular for its terraces in the lively nights; and the take-away in Núñez de Arce Street offers a delivery service until the wee hours of the morning. 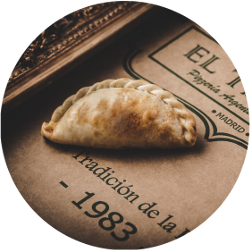 Our popular argentine pizzas, empanadas and fainá, can be ordered for home delivery, as well as our sweet homemade desserts. 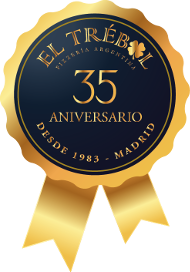 All the products in our menu are made in our own workshop, following the traditional recipes with the quality that distinguishes us for 35 years, and they are ready to be delivered in a few minutes, in your home, office or gym. Fresh and cooked daily.